Barb is a 1987 graduate of Riverside High School in Painesville Ohio. She brings with her 25 years of experience in customer service related industries. Since 1996 Barb has been working at BackTrack, Inc. in Mentor, Ohio. 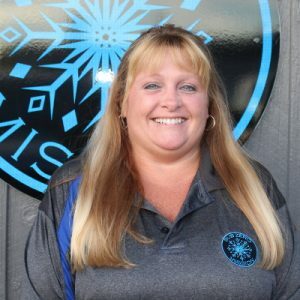 Barb is currently a shareholder in this family owned business and presently holds the title of Vice President of Operations. Barb’s expertise in the running of the day to day operations of a company will be a big asset in helping run The Sub Zero Mission.